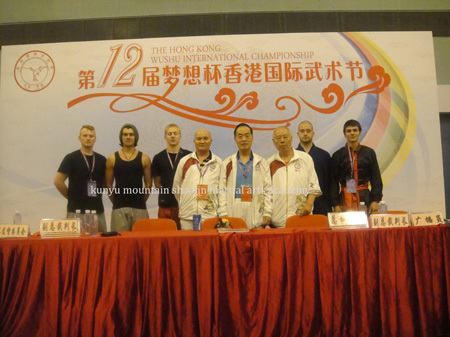 International Traditional kung fu competitions 2014. 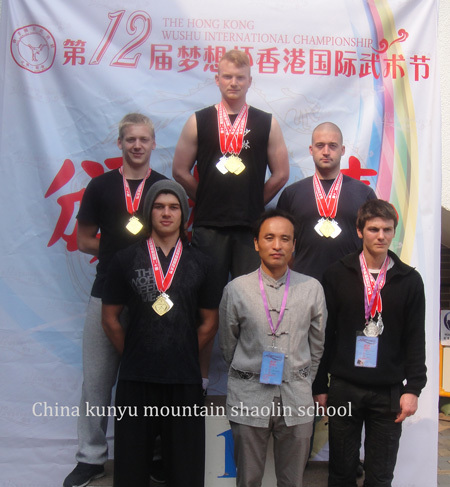 In March 2014,students took part in the International Traditional kung fu competitions held in Hongkong,and completed the competitions successfully and achieved excellent records. The students and judges in competition. The student is in competition. 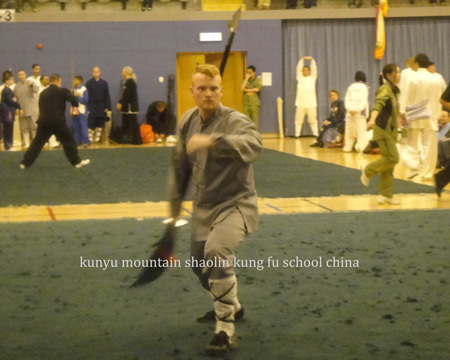 The student performing Shaolin sword. 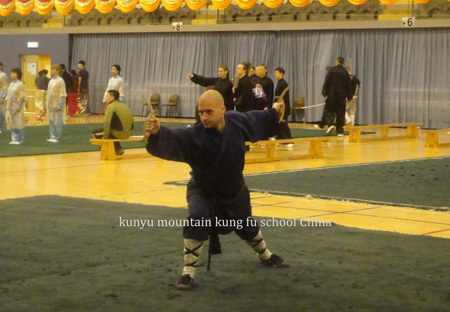 In May of 2014,we joined the kung fu performance show held by Kunyu mountain and finished successfully. Some of students and masters took part in this show. Master performing Tai chi Chuan. Our students interviewed by Yantai TV station . In end of May ,some students performed in the traditional Martial arts Festival in Horse Land held by Muping district of Yantai city. Stuents performing in the compeittion. students perform staff during the performance show. In Oct 2014,our students took part in 9th international martial arts festival held by DALIAN city,and achieved gold medal. Our student and other participants. Students performed while in the festival.